DOJ special counsel Robert Mueller leaves after a closed meeting with members of the Senate Judiciary Committee on June 21 at the Capitol in Washington, D.C.
Richard Salgado (from left), director of law enforcement and information security at Google; Sean Edgett, acting general counsel at Twitter; and Colin Stretch, general counsel at Facebook, are sworn in during a Senate Judiciary Subcommittee on Crime and Terrorism hearing on Oct. 31. Last week in the Russia investigations: Mueller removes all doubt, the imbroglio apparently costs a man a government job and lots of talk — but no silver bullet — on digital interference. How many more thunderbolts has Zeus in his quiver? Where might the next one strike? Who does the angry lightning-hurler have in his sights — and who will be spared? Life is different now for denizens of the National Capital Region (aka Washington, D.C., to those who live beyond the Beltway). A car backfires on the street outside — is that more indictments? Three people show up for a reservation for four at BLT Steak — more charges? Justice Department special counsel Robert Mueller has removed all doubt that he intends to bring criminal charges in the Russia probe. 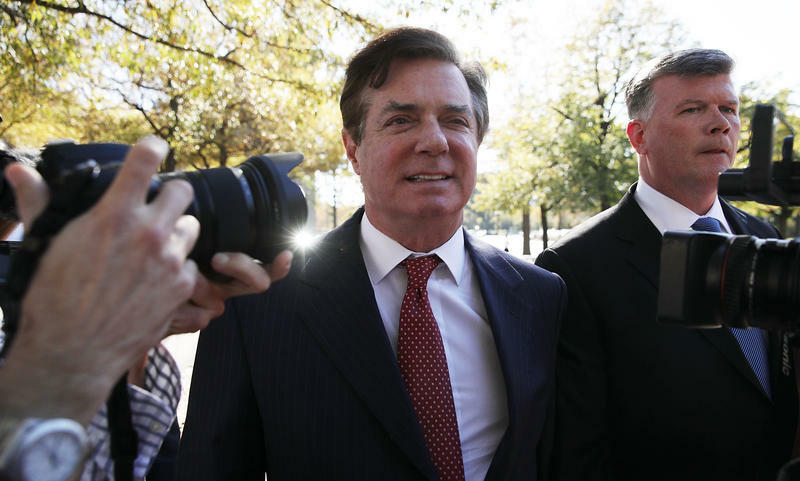 On Monday, Oct. 30, the feds announced cases against three: Paul Manafort, Donald Trump's former campaign chairman; Rick Gates, Manafort's business partner; and George Papadopoulos, a young foreign policy adviser to the Trump campaign. Manafort and Gates are pleading not guilty; Papadopoulos pleaded guilty and is cooperating with investigators. 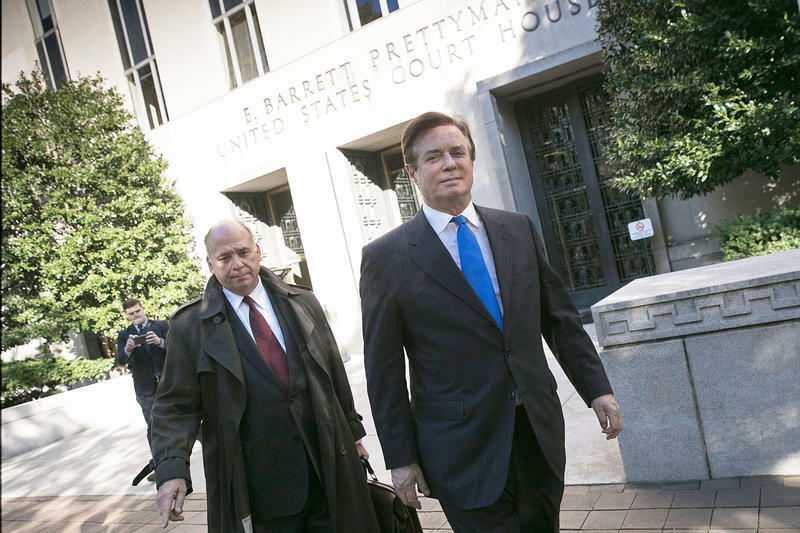 Manafort and Gates surrendered to the FBI on Monday and were indicted; they returned to federal court in Washington on Thursday for a status conference about their bond and the conditions of their home confinement. What no one can know but the parties involved is where this goes next. Among other things, Mueller has demonstrated that he can keep a tight lid: The FBI interviewed Papadopoulos in January and again in February. He was arrested in July. He finally reached his plea agreement last month — all without a word about it published by the media beforehand. So daily life has become a bit stressful for people connected with the Russia imbroglio — all except for President Trump. He phoned The New York Times on Wednesday to make clear to correspondents Maggie Haberman and Peter Baker that he is perfectly calm. He bears no animus toward Mueller. He is utterly unconcerned. "It has nothing to do with us," Trump said. Not everyone is as sanguine as President Trump. The Papadopoulos revelations — that he had been approached by Russian agents from his earliest days on the campaign and that he passed along their offers to his bosses — set off a chain reaction in Washington. For example, Papadopoulos says he aired at a staff meeting that he was getting overtures from Russians and mentioned at a staff meeting that Trump might meet Russian President Vladimir Putin. Some of them encouraged him. One of his superiors at the time, Trump campaign co-chair Sam Clovis, withdrew from consideration for a U.S. Department of Agriculture job rather than face his Senate confirmation hearing that had been scheduled for this week. Clovis is understood to already have talked with Mueller's investigators and a grand jury in Washington. And Attorney General Jeff Sessions, as Senate Democrats pointed out, has previously disclaimed multiple times in testimony before Congress any knowledge of any connections by anyone from the Trump campaign to Russian interference efforts. Judiciary Committee Democrats are making noises about wanting Sessions to come back and answer more questions in an open hearing, but Chairman Chuck Grassley, R-Iowa, may not agree. Clovis and Sessions have denied any wrongdoing or colluding with any foreigners during the election. These second-order political effects from the Papadopoulos plea, however, help explain why the stakes are so high for potential Mueller targets. The DOJ investigation not only puts them in peril, but the people close to them, and the people close to them and so on. Everyone's upset about Russia's use of social media to interfere in the U.S. election last year, but no one agrees on what to do about it. 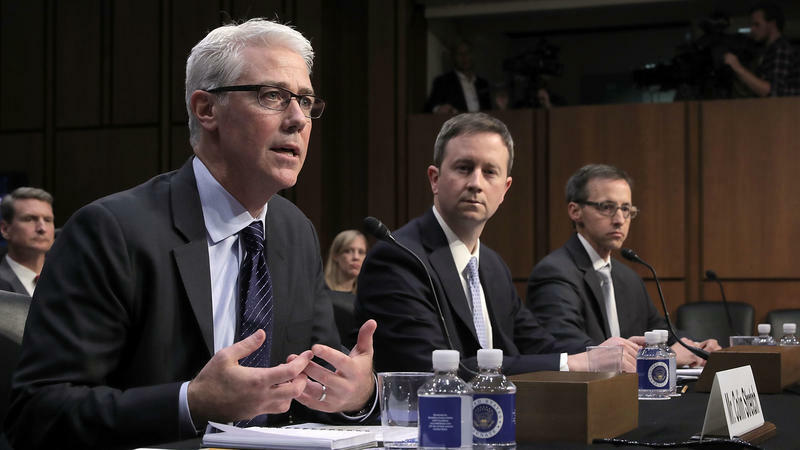 That was the upshot of a two-day, three-hearing marathon last week with Facebook, Twitter and Google. The Big Tech witnesses absorbed a lot of punishment and promised to do better — but mostly kept their powder dry. 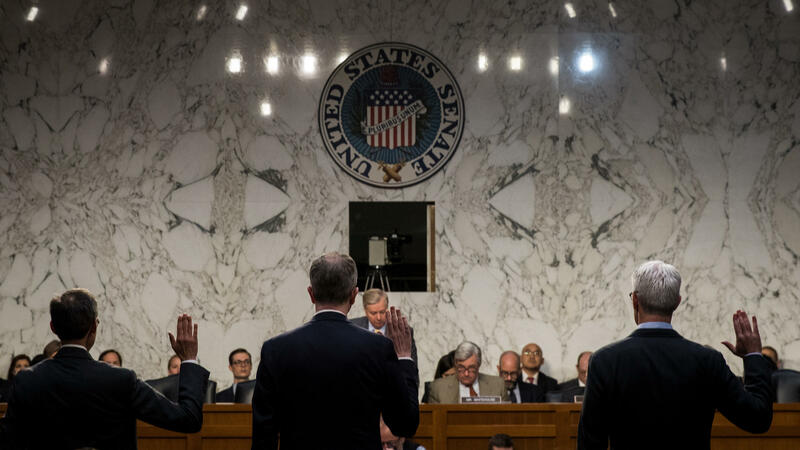 A coterie of senators wants to mandate more disclosure and other restrictions in the way the tech giants handle political advertising. The companies say they're going to police themselves. In the back of everyone's mind is not only the need to prevent foreign influence campaigns, but also the precedent that would be set if Congress got into the business of trying to restrain Silicon Valley. In terms of quick action, there appears to be nothing near-term in the cards. Even one of the sponsors of the online ads bill, Sen. Mark Warner, D-Va., has said no action might take place until next year. If no one can agree on how to prevent a future Russian cyber campaign, however, there was a great deal of new information about the last one. Quick example: Russia-linked content posted on Facebook during the last election cycle included art that showed Hillary Clinton, in red with devil horns, facing off against Jesus Christ. And Senate Intelligence Committee Chairman Richard Burr, R-N.C., detailed how Russian influencemongers used fake accounts to organize a pro-Muslim and an anti-Muslim rally — for the same time and at the same place in the state of Texas — to try to create conflict. NPR's Miles Parks has that story. Three conservative lawmakers in the House are backing a resolution that would call for Justice Department special counsel Robert Mueller to get off the Russia matter. Rep. Matt Gaetz, R-Fla., and others call Mueller "compromised" over the role they say he played in the 2010 uranium deal that also implicates Hillary Clinton, who was secretary of state at the time it went forward. Meaning what? The White House has gone back and forth about whether to play nice with Mueller or smash-mouth ball. The latest thinking, as you saw above, is that Trump is going to float overhead. But his allies want to tar Mueller and pull him into the alternate narrative about Russia and uranium that Trump used as an attack line against Clinton last year. At the same time, the House Oversight and Judiciary Committees also say they've opened new investigations into the uranium case, raising the prospect that they uncover more about it. Everybody's talking about "collusion." Here's the problem: that word, from a legal perspective, does not mean anything, as Ryan Goodman writes in a New York Times op-ed. Donald Trump's campaign last year met with Russians or their agents who had offered help to the candidate — dirt on Hillary Clinton, meetings with Russian leaders, etc. But the Trump camp says it didn't actually get any such dirt or convene any such meetings. Meaning what? When the trip wire for improper or illegal action is "collusion," but that means different things to different people, no wonder this imbroglio is so fraught. About 58 percent of Americans surveyed by The Washington Post and ABC said they approved of special counsel Mueller and his investigation, the news organizations reported on Thursday. Fewer than 4 in 10 in the poll said they thought Trump was cooperating with the DOJ probe. Meaning what? But the impressions, as ever, largely depend on the partisan filter through which Americans now view events: Republicans were much less likely to approve of Mueller than independents or Democrats. "[Seventy-eight] percent of Democrats and 56 percent of independents [approve] of the way Mueller is handling the investigation, compared with 38 percent of Republicans," the Post reported. 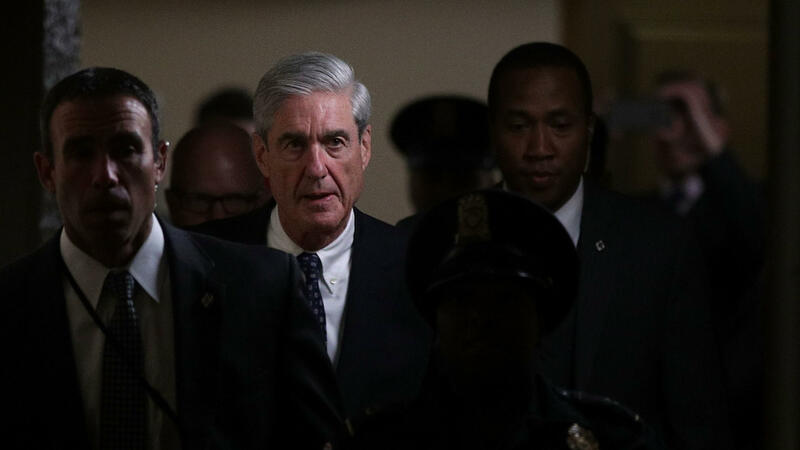 This week, Department of Justice special counsel Robert Mueller picked up the public pace of his team's investigation of Russian interference in the 2016 presidential election. Indictments were unsealed, and a potentially important plea agreement revealed. 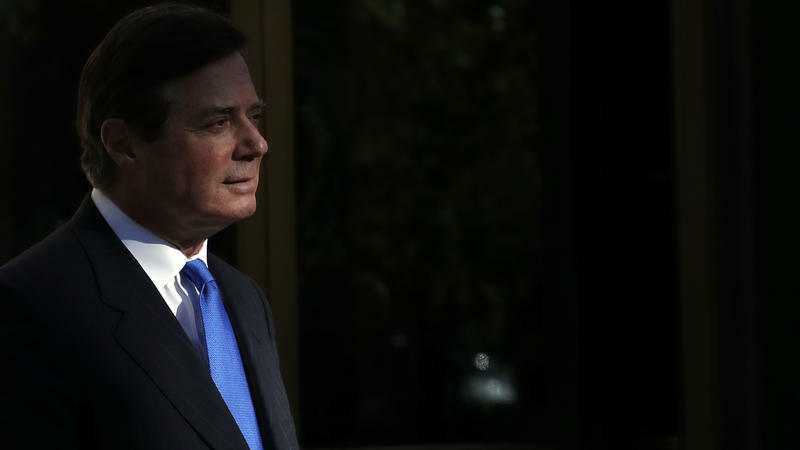 A federal judge on Thursday ordered President Trump's former campaign chairman, Paul Manafort, and his business associate Rick Gates to remain under home confinement and GPS monitoring for now. U.S. District Court Judge Amy Berman Jackson decided to keep in place the restrictions that were put on the two men at their initial court appearance on Monday. Jackson said the unsecured bonds set earlier this week — $10 million for Manafort and $5 million for Gates — may not be enough to ensure the two men remain in the court's jurisdiction. She set a bail hearing for Monday. A former Trump campaign official has withdrawn from consideration for a job at the U.S. Department of Agriculture after being pulled into the imbroglio over Russia's interference efforts against the U.S. in the 2016 presidential race. 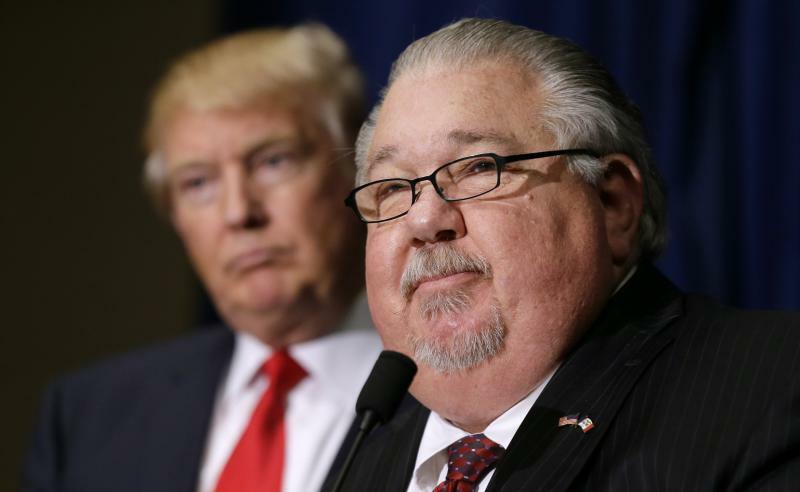 Sam Clovis said on Thursday that he would not go forward in trying to become the USDA's undersecretary for research, education and economics.